This is a forum for "things"- cane/chairs, books, specialized luggage.... anything that has helped, and what hasn't. Add your own tips and reviews. UPDATE - the current version of the LiftPulse app is only available for Android phones. But there are several other Apps that are low cost that are available for the iPhone. The typical speed of the Orthostatic Tremor is fast… so fast that it is somewhat unique to OT. If you could record the high speed tremor of OT with a very common and accessible device could this help describe the tremor to others or reduce the time to a diagnosis? This required an iPhone, a free app, a knee high stocking, a sturdy chair to hold onto and someone to push the button. The results were well within the normal 12-20 Hz range of OT and consistent over 3 consecutive attempts. The phone that was used was an older iPhone 4s, the newer models have much better sensors. There have been some tests with pedometer apps, and they have found that newer phones with better sensors and processors are more precise. 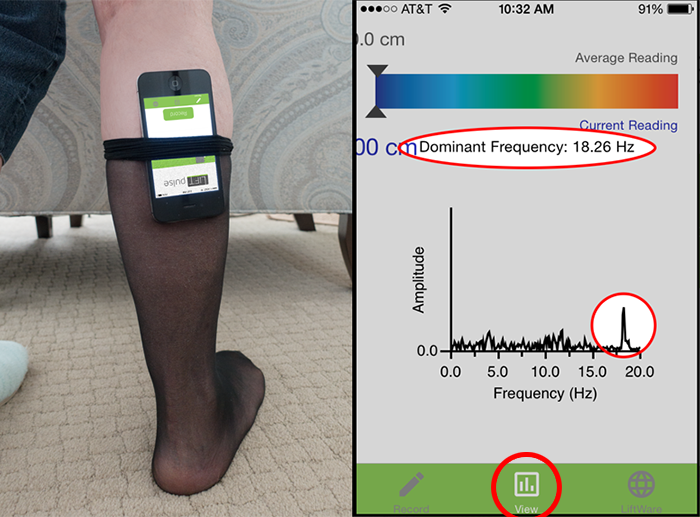 I find the iPhone app iSeismometer to be a great way to show people (including doctors) exactly what you are telling them about your tremors. Turn it on - have them stand and hold it to their leg (no movement on the iSeismometer). Then stand and hold it to your leg (looks like an earthquake!!). The light goes on in their eyes and I've found that even the people who have helped me cope for the last 12 years seem to finally "get it." I decided to test the iSensometer with my ET. Holding my iphone in each hand It came up perfectly with a tremor of about 6Hz on several tries. OK, I assumed that it works. Next I held it to my leg. Problem. I kept coming up with 6Hz not the 14 to 15 Hz expected. In a side email JoanC said try straping the iphone to my leg. Take my hands off it as it is probably primarily picking up my ET tremors from my hand. Guess what. Strapped to my leg I got 14 to 15Hz, exactly as expected. Hope you found this interesting. If you have any similar experiences, or simply have a comment, please feel free to discuss your thoughts by clicking on "reply" ( you will need to login to the forum to post your message). And now for the disclaimer...nothing is endorsed or implied other than this being a reporting of the process that we used to record the tremor using an iPhone and Lift Pulse. 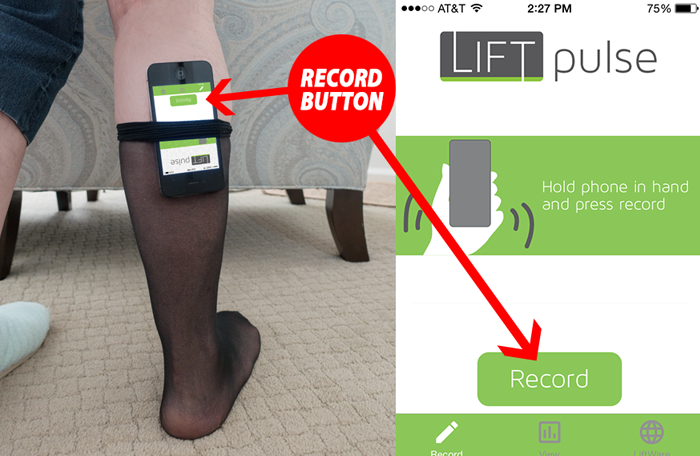 We used the lift plus smart phone app according to instructions found on this site. It produced a clear graph illustrating my tremors. It was a great comfort to see physical evidence of what I have felt for years. I sent a note and copy of the graph to both my neurologist and primary care doctor. I have often felt that they thought I was just imagining something. I have been told by the Lift Pulse makers that this app no longer keeps track of tremors but that one can still download it and perhaps use a diary to track the tremors. Seems rather useless to me, so I have deleted the useless app from my android phone. This information was sent to me at the beginning of July, 2017. It's unfortunate that the app developers have stopped updating LiftPulse. There are a couple other tremor applications available. In my opinion these applications had the most potential for people to help define or at least point in the correct direction. 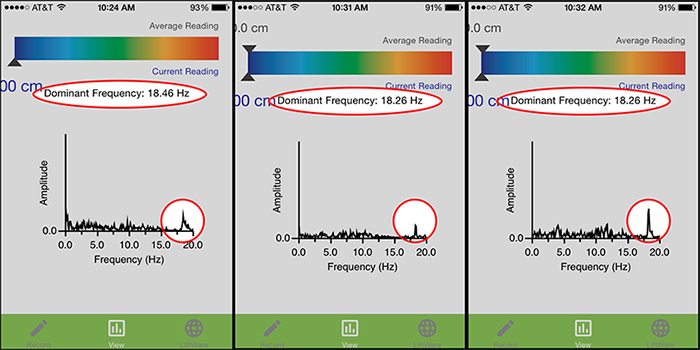 To help decide whether it may be OT or not, and with these apps it was possible to identify the fast tremor which is almost exclusive to OT. Some people found that it was difficult to get an EMG test through their healthcare providers. An EMG is considered the most conclusive test available. Either the equipment was not available through their doctor or because of cost.